Manu always had the same thing to say to her. “Be happy, I want to see you happy always”, and had tried various things to keep her happy in their few months of friendship. 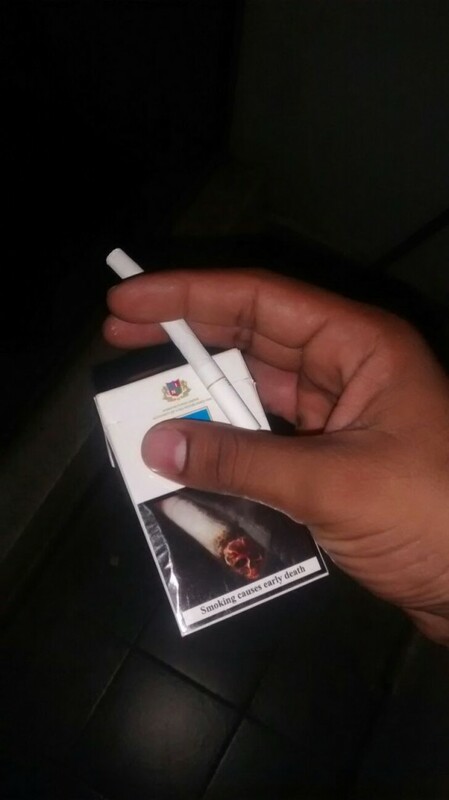 Cigarette was one such fascination that he had made her realize, she hardly knew she was fascinated about it till he gave her the idea one night. “Imagine you are a hot heroine standing in your beach facing house, you are angry and you are mean, and now light this” he had said and given her a cigarette on the same balcony, “when you blow out, blow it with meanness, with pride” and she had let it out just like that, ‘meet Anjali, the celebrity’, she had felt. Unfortunately he had drowned in a mishap sometime later. She only realized how important he had become after that incident. Too late. Although their friendship hadn’t been for long, his death had a telling impact on her. She found it even more important to be happy now, however long she lived, as that was what he would have asked for. After trying hard for 6 months, she thought she should try the celebrity experience again. 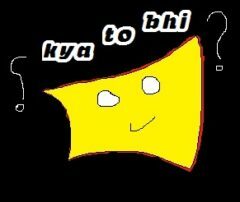 “Oy kyatobhi hai ye, gmail asked me to maintain contacts in case of account inactivity and I can’t think of anyone than you for this, if this reaches you immediately, toh don’t tell me if you read my mails. I will feel shy to face you”. ‘Diary Entry4: Anjali haha, I knew it! So I deleted no.3 :D’. Smiling from ear to ear, she wiped her tears. He knew how to make her happy even now! Suddenly the world wasn’t really that dull as it seemed. She now knew for sure what she always felt, ‘he wanted her to stay happy’, always! ‘Diary Entry3: Anjali, my crush/love? So, suppose you have a google drive, a gmail, a youtube account all linked with a particular id, then you could filter which content you want your trustee to be able to access to and write an email message you want to be delivered. Now how cool is that! Just remember not to spook anyone 😀 . There are chances of your email reaching the people after, well, not to mean anything wrong to my readers-touch wood, lets just say after you’ve reached the other end of ‘full stop’. In case you are wondering what if you just add your GF/BF now and suppose she/he isnt entitled for this info later? Google has covered that too! b. You get to choose the inactive time period after which this will trigger. 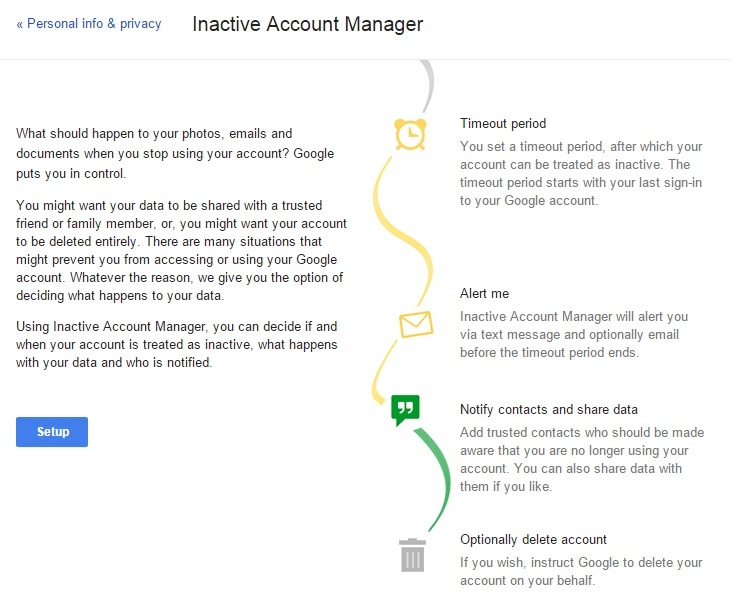 More over, google will also inform you before the ‘inactive’ time period is reached. c. Err… I am not in mood to type more, how about you try it out yourself ? Isn’t it thoughtful of google to give us this option? What kind of mail would you like to type and address it to whom? Do mention in the comments section, I would love to read them. Also, since this is some useful piece of information, and it is also my first article, how about sharing this article around? Will make me feel good . Any other suggestions or additional comments on the write up are welcome too. Next Next post: Party means only drinks aa?